Heartbreak struck again against Florida State. After a special season, an ACC Championship run would have been exciting, but pick your heads up. Virginia Tech enters the NCAA tournament as a 4-seed, heavily favored in round one and likely comfortably favored in a round two matchup. Justin Robinson is back, the team is rested, and there is a straightforward path to a Sweet 16 matchup against Duke. But that all starts with the round one opponent, Saint Louis, and without a win against them a Sweet 16 trip is at least a year away. By the (Advanced) Numbers takes a look at what to expect when the Hokies and Billikens dance. Strictly based on computer rankings, Saint Louis has no business even being in the tournament — few computers rate the team among the best 68 in the country. But part of the fun of March Madness is that teams like Saint Louis can play their way in and maybe do something unexpected, so we don't really want computers deciding things. Especially that one computer that thinks Saint Louis should be ranked. 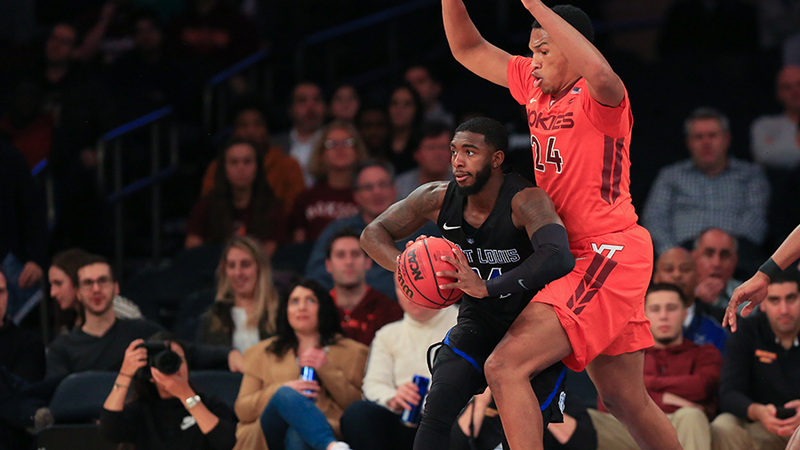 Despite the lopsided matchup, don't expect the Hokies to just roll over the Billikens. The team does feature a good defense, so while the game shouldn't be close it also shouldn't be particularly high scoring. If the good defenses aren't convincing enough that this game will be low scoring, the slow pace of play by both teams should be. That said, the Hokies really slowed down when Justin Robinson was injured but Five is back. What looms is whether or not Buzz Williams sticks with the style or speeds things back up. Saint Louis has one of the lowest effective field goal percentages in the country going against the Hokies with one of the highest. The Billikens take predominantly 2-point shots, and get a fairly high number of free throws relative to total shots. Not much stands out on the Saint Louis' defense personality, other than the team does block a decently high percentage of shots. This is where the matchup gets really interesting for me, and I get convinced the Hokies will easily dispatch the Billikens. The Virginia Tech defense forces teams into taking a high percentage of shots as 3-pointers, and does not give teams many free throws. Recall that is the opposite of the style Saint Louis plays on offense, so I'm looking for that offense to really struggle unless they make an unusually high percentage of three-pointers. And when has that ever happened against the Hokies? To reiterate, I don't think this will be a complete blowout because I think the Hokies' points will be limited. But the Virginia Tech defense should really make the Billikens struggle on offense, and I just don't see this one being very close. Oh, and the team will be high-energy with rest, and the return of Robinson. We got this, sweet 16 bound baby! Which arcane computer has the Billikins as ~15th? My only concern is that it seems that STL wants to drive the lane and get fouls. KBJ will have to be on his best behavior and the other 4 are going to have to cut off the lanes and force shots from 15 ft out. I could see some foul trouble leading to a few STL runs in this one, but I think we have enough talent to keep them out of the paint defensively and keep the pressure on them offensively to pull this out in low stress fashion. I think the KBJ foul trouble mostly happens against teams with a lot of big guys. 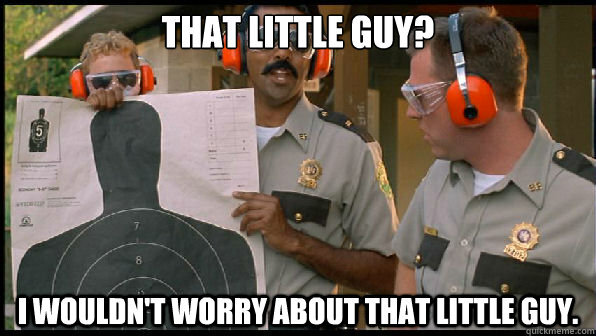 STL has three guys over 6'6" and none over 6'9". That more or less means NAW, Med, and Outlaw can all contribute on defense against these guys. I get worried when teams have three guys on the court that are 6'8" and taller like FSU. FSU was a close game because those guys aren't agile but they present a challenge when we're on defense. I think the silly/cheap/KJB type of fouls that Homebrew is referencing certainly come against just about anyone on or near the court, including the ball boy or cheer leader at times. KJB has been playing out of his mind since #5 went down. But boy he certainly has had a tendency of racking up cheap one's, especially on smaller guys who he ends up guarding on the switch. I commented on this before 5 went down. He cut down on those stupid fouls wayyy away from the hoop significantly after the first few games this season. KBJ has been improving a lot this season, it was certainly highlighted when 5 went down but he's been significantly smarter in the way he plays this year. I haven't watched many early games. In the games I did watch I think he mostly got in foul trouble against teams with bigger guys when on defense. Or 90 feet away from the basket trying to steal the ball after not getting an offensive rebound. This feels like an old argument without as much current evidence. He's averaging 32.5 minutes per games since ACC play started, 3.3 PF/game, and three foul-outs in those 20 games. Obviously zero would be better, but he's staying in games, he's playing a lot, and he's not fouling out much. That doesn't sound like the "picking up cheap ones" KJ of the past few years. I just want to win. Let's get into the second round with no injuries!! I live in Palo Alto - about 30 mins from San Jose. Any other Bay Area residents on this site --- going to the game? I suspect I will be one of 100 Hokie fans at the game in Section 128 behind the bench. Seating should be fantastic for Friday unless Miss St. fans are great travelers for BB. I'm had plans for the weekend to watch the games elsewhere until Sunday. I live within walking distance of SAP so I practically had to buy tickets. Can't remember my section though. I had plans to write a preview, but Joel covered many of the points I wanted to hit and time got the better of me. Here are some other thoughts. It's an uneven matchup. Vegas pegged Tech as an early 10-point favorite. Adjusted efficiency metrics sharply favor the Hokies too. Per KenPom, Tech is No. 11 overall, No. 12 AdjO and No. 25 AdjD. By comparison Saint Louis is No. 103 overall, No. 205 AdjO and No. 41 AdjD. There's also a substantial differential in NET ranking, 11th vs 103rd (92 spots). There's a fairly wide spread in the 4-vs.-13 matchups, which results in a potential upset pick at the low end. I'm definitely not referring to the Virginia Tech Hokies' 92-place spread over the Saint Louis Billikens, who probably should have been on the 14 line instead of Yale. That gap is larger than two of the 3/14 games. Four Factors and individual shooting stats per barttorvik.com are below. Virginia Tech is the much better shooting team, and it's not close. However, the Saint Louis defense is nothing to laugh at (and neither is Tech's). Saint Louis is also adept at offensive rebounding and getting to the free throw line. Both serve to alleviate their inept shooting. The Billikens were the preseason favorites to win the two-bid Atlantic 10 conference. They responded with a lackluster one game over .500 finish in conference play (10-8), and were do-or-done in the A-10 tournament. And ultimately, they did. The "do-or-done" teams scare me the most. Those are the teams that are on a streak. Aren't all teams in a single elimination tournament "do or done"? I think he's referring to teams that aren't anywhere near getting into the NCAA Tourney, so they're "do or done" in their Conference Tourneys (to get into the Big Dance), end up playing lights out and winning, and have that mojo flo carry over to the First Round of NCAA.